I made my Grain-Free Lasagna last night for a friend who is on the SCD and just had knee surgery. I wanted it to be a little healthier this time, and also less time consuming so I baked the zucchini at 400 degrees first instead of pan frying it. I haven’t calculated it, but I imagine without all of the oil from frying, this dish is now at least a few hundred calories lighter. Breading and baking the zucchini before baking the full lasagna gives it more substance and makes them taste a little more like noodles. I use dry curd cottage cheese with a little yogurt, eggs, and seasoning to mimic ricotta cheese. If you are allowed to eat ricotta, then go ahead and buy that but eliminate the yogurt. This time, my son was sleeping so I remembered to add ground turkey to the sauce! As you may remember from my last post on this lasagna, I was so busy chasing him that it ended up being a vegetarian lasagna. It tasted just as good, but I personally like a little meat in my sauce. Follow instructions to make marinara sauce. Let simmer for 40 minutes. 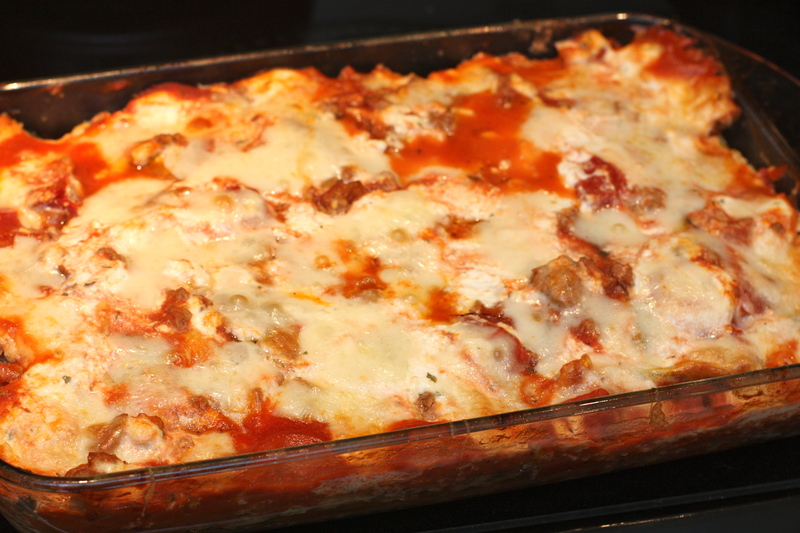 Brown the ground turkey then add it to the sauce and keep on low while you assemble the lasagna. In the meantime, prepare zucchini. 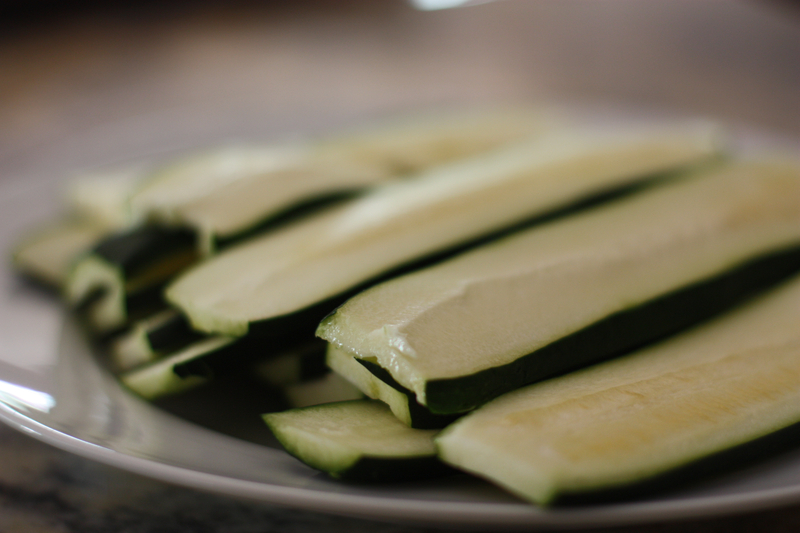 Remove both ends of the zucchini, and using a mandoline or a steady hand, slice them into 1/4 inch slices. Preheat the oven to 400 degrees. Place almond flour in a shallow bowl. In a separate bowl, beat the 6 eggs, 1/2 cup Parmesan cheese, salt, and pepper. 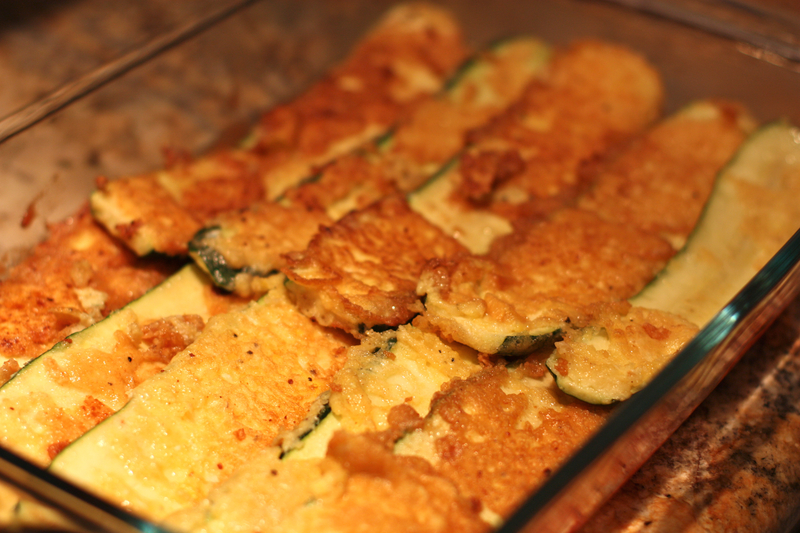 Dip each piece of zucchini in the flour first, then in the egg mixture. Place slices on a cookie sheet lined with parchment paper, and bake at 400 degrees for 15 minutes, turning once. Mix the DCCC, yogurt, 2 eggs, salt, pepper, parsley and Parmesan cheese. Spoon 1/2 cup of the marina sauce into the bottom of a casserole dish. 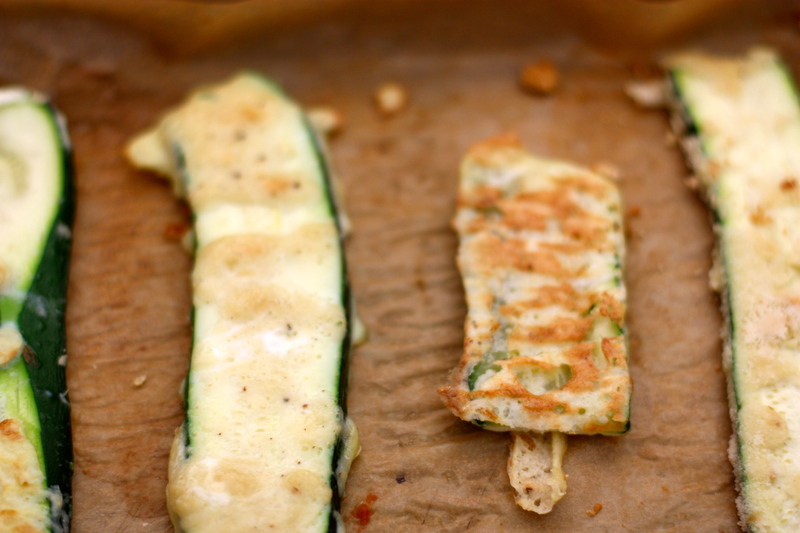 Begin layering the zucchini, slightly overlapping each piece. Spread another 1/2 cup of the marina sauce on top of the zucchini. Then, with a rubber spatula, spread 1/2 of the cottage cheese mixture over the entire pan. Top that layer with 3/4 cup of the provolone. 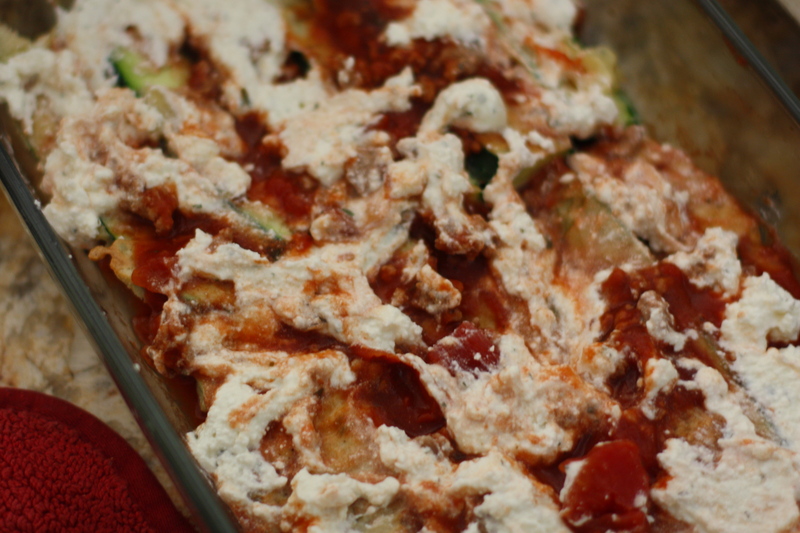 Continue layering with zucchini, sauce, cottage cheese mixture, and provolone. End with a the layer of provolone cheese one top. The amount of layers will depend on the size dish you use. Cover with foil, and bake at 350 degrees for 45 minutes. Remove foil, and bake for another 15 minutes to brown the top. Remove from oven and let sit for 15 minutes. This recipe is shared at Slightly Indulgent Tuesdays from SS&GF! This was amazing! I couldn’t believe I was not eating real lasagna noodles. I didn’t even miss the meat. Yum, this looks fantastic. I recently made a grain free lasagna with butternut squash in place of noodles. Can’t wait to give zucchini a try!